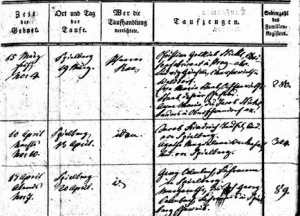 German church books can be a gold mine of information for family historians. 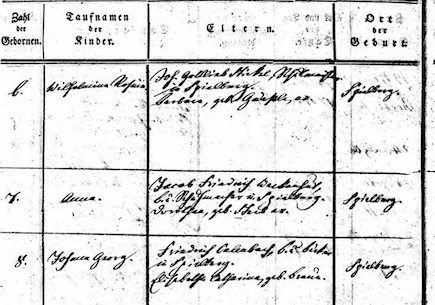 Before the 1870s, the churches, not civil authorities, meticulously kept track of their members’ births/baptisms, marriages, deaths and more (In 1876, five years after German unification, a law was passed legally requiring civil registry offices to keep records – the church then kept records only for their own interests and no longer for civil reasons). 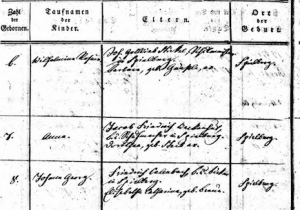 Before locating a church record, it is important to know the town where your ancestor came from, and ensure that you are looking for this town in the correct German state. Many towns in Germany have the same name, so knowing its exact location is important. You don’t want to waste time looking in the wrong church’s records! Baptisms (Taufregister): Name of child, dates of birth and baptism, parents’ names, mother’s maiden name, legitimacy of the child, occupation of parents, town of residence, pastor’s name, midwife’s name, godparents’ names, etc. 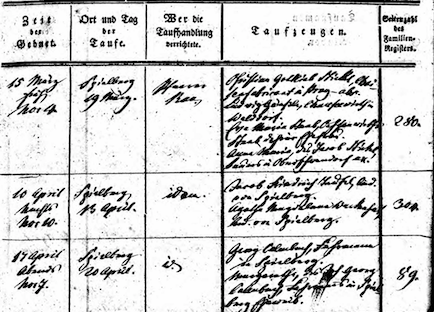 The baptismal register may also list the corresponding family book number. Marriages (Eheregister): Name of person married, their occupation, age, parents’ names and occupation, whether the parents are still living, town of residence, spouse’s name, occupation and age, spouse’s parents names, occupation and whether they are still living, dates of marriage banns, date of marriage, witnesses’ names, ages and occupation, etc. Deaths (Totenregister): Name, occupation, residence, age, cause of death, date of death, date of burial, surviving relatives, etc. Of course, these records are usually written in the old German handwriting. If you need help with the transcription or translation, feel free to contact me here. 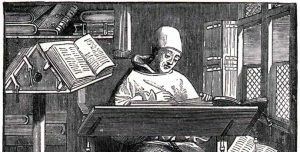 Or check out Ten Tips for Deciphering Old German Handwriting to try some transcription yourself! Some records, depending on the region and the scribe, may have more or less information than others. 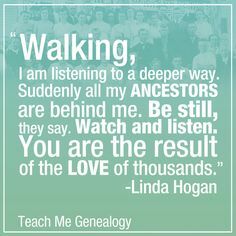 Confirmation and general family records may also exist in some parishes. The entries were usually written in chronological order. Dates were written in Day-Month-Year format. 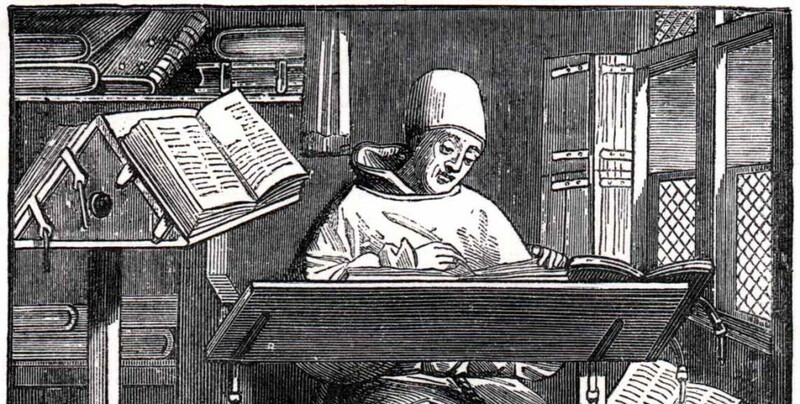 Some church records were written in Latin instead of German. Some use both languages. “-in” was sometimes added to the last name of women. For example, “Müller” could be “Müllerin” when discussing a female. Now that you know where to look, go out there and start researching. There’s a wealth of information waiting for you!